We are calling together those who desire to be at cause for their own healing, yet know that with support, we are capable of so much more. Each person will choose what they are bringing to the altar of transformation. They will bring that story and energy to the canvas, and to the healers, and open themselves to physical and emotional healing. Each person is their own healer and alchemist – but will receive SUPPORT in renewing themselves from our LADY CLOUD Clinic team of Practitioners. Interested? 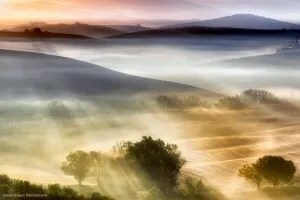 We are delighted to invite you to join us for a healing soul journey in Tuscany, Italy. A landscape that beckons your soul to pause, to simply ‘be’ in a space of timelessness and pure beauty, outside the matrix of your current day to day operating system – a space in which true healing and magic can occur. 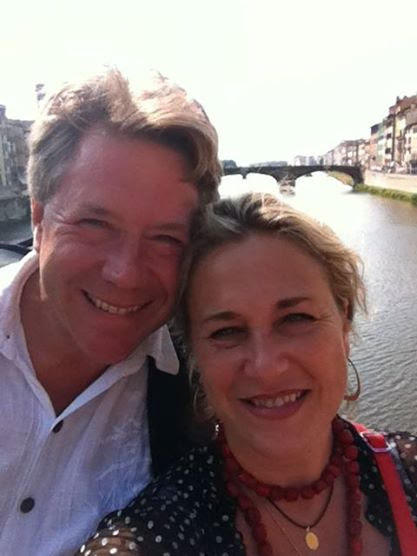 For 5 years we have brought guests on Intentional Creativity International Travel adventures. It is how we personally reset, renew and get re-inspired. This will be our 4th trip to Tuscany. 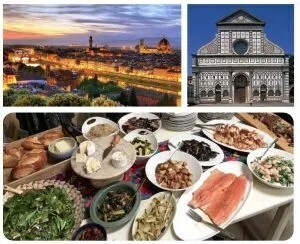 This will include mostly country side relaxation with forays into very nearby Florence. This journey is a week long, and all inclusive of lodging, meals + all clinic and creativity sessions. Our focus is on the integration of our internal self with our external self, diving deep through beauty, rest and nourishment to come into coherency. With a framework of personal mythology we will explore stories from the expansive terrain of the imaginal realm. 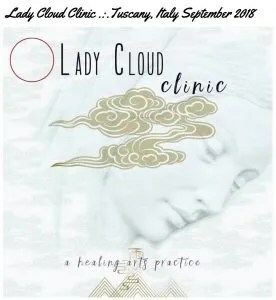 Lady Cloud Clinic is an invitation to a new experience of how you are operating in your life, mind, heart and body. Request your invitation here. Registration is now open for what will be an intimate circle of connection, restoration and transformation. We hope you’ll explore journeying with us. I am so very grateful for the healings, beauty, wisdom, truth, guidance and love I received. I shifted from doubt and limitation as a creator of art to awe and amazement as my canvas unfolded with messages and mystery. The teachings and healings (body and spirit) were filled with heartfelt energy. The last 5 days have been transformative on every level of my being. Every detail for care, beauty and comfort was provided. Jonathans gifts, talents and abilities as a thoughtful chef created a shift in my relationship with food and my health. Who knew healthy could be so delicious and beautiful? If you have any questions email Sarah Mardell, at sarah@shilohsophiastudios.com.